BIRMINGHAM quartet ‘Pleasure House’- Alex Heffernan (lead vocals and guitar), Abbas Shah (lead guitar), Jon Moore (bass) and James Burgess (drums), formed in April this year, working endlessly to produce material with a small hint of just how capable these guys really are. Self-prescribed ‘psych-pop rock’n’roll’, Pleasure House have just released their debut EP, in which they immerse us into depths of hypnotic beats as well as relatable tales of the mind and heart. They explore the realities of life without shame, confronting us with a raw, veracious lyricism. Frontman Alex Heffernan, provides passionate vocals with a likeable pop twist. This, we imagine, will have a diverse appeal, yet psychedelic guitars bring us back to indie territory with strong links to The 1975 and fellow Brummie band JAWS. However, jovial riffs give this band their own statement sound that’s rather difficult to overlook. A track from their debut EP titled “Blow My Mind” has already been played on the likes of Amazing Radio, combined with an amusing interview with presenter Jack Parker. This track is undeniably melodious, with dance beats slickly weaved throughout. The single is uplifting and easy listening, an ideal playlist filler. Watch their new music video to this track below which promotes living in the moment plus a stimulating insight into the personality of the group. 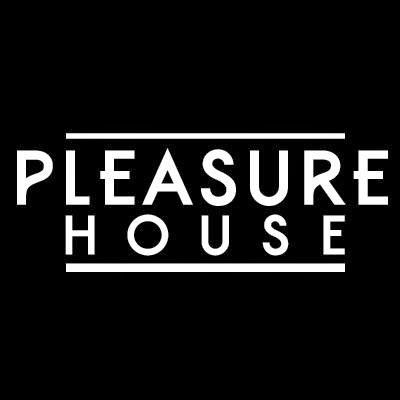 Pleasure House are beginning to build a loyal fan-base, the question on The Music Manuals mind now, is how long until a tour of their own?